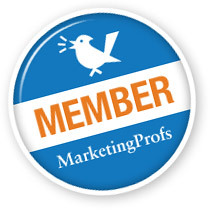 January 23 Book Marketing Tip: Pick the social networking vehicle your reader is driving! If your social marketing is to be useful, it needs to be two things. Who wants to guess what the first one is? OK – I haven’t mentioned it in a while, but you seriously should not need this reminder. 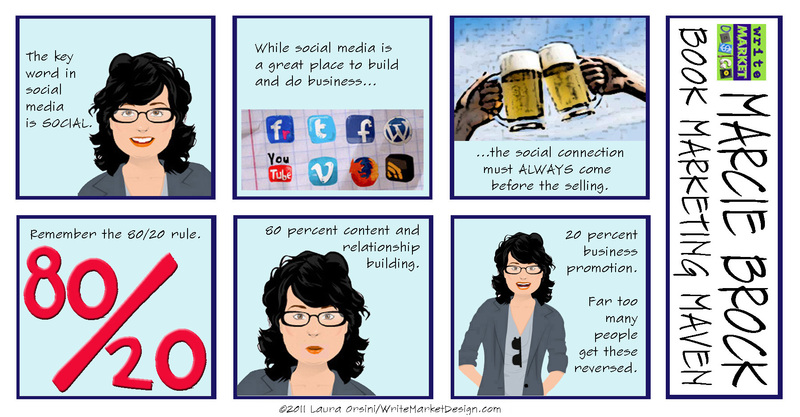 Social marketing needs to be SOCIAL. But all the social marketing in the world could be a waste of time (and money if you’re hiring out any aspect of it) if it’s not aimed at your target readers. As we’ve mentioned in the past, every author needs to answer 1 question before they begin their marketing: Who is my reader? However, if your social marketing is to do you any good, you need to take that question a step further and answer the next question: Which social network does my reader use most? There was a funny meme that made the rounds on the social networks 12 to 18 months ago. It involved bodily fluids and how each network would report on release of said fluid. We posted a version in a blog titled How are you incorporating social media into your book marketing strategy? Last night at the Phoenix Social Media Marketing Meetup, I heard a more useful analogy, which I want to share with you here. Thanks to Giselle Aguilar, the Meetup coordinator, for this analogy. Definitely track her down if you need help with your social media strategy. Twitter users are quick. They like the fast-paced nature of a busy Twitter feed, and prefer easy-to-digest short bursts of info, links, quotes, and images. They are very social themselves, the most adept sharing the tweets they like.For me, Twitter is a huge information resource. My Twitter feed keeps me up to date on marketing, publishing, and social media trends in a way no other social network can. Due to its nature as a site for businesspeople, LinkedIn draws the highest net worth users of any of the social networks. Like luxury vehicle drivers, these people prefer clean, elegant, useful information. Frills are OK, as long as they have a purpose. You won’t catch LinkedIn users sharing pictures of cats or zombies or kids. Attracting the second-highest net worth users, Pinterest users are like minivan drivers. Pinterest is the place for women – specifically moms.Interestingly, though, photos with people are repined much less frequently than those without. Images that are longer than they are wide are more often shared. I love this comparison: Facebook is multipurpose, like an SUV. Facebook users are inherently social, posting everything from pictures of cats, zombies, and their kids to quotes, links, political messages, music, videos, and event listings.Facebook’s reach is vast, to be sure, but don’t assume it’s your reader’s number one online hangout. Do your research and find out for sure before you pour endless hours into it that don’t do much to boost your visibility as an author. Here’s another great comparison. Like pickup drivers, Google+ users just want to get it done. Google+ has circles and hangouts and authorship. It’s got the versatility of an SUV, but its more workmanlike in its approach.With more than 540 million users in less than three years, Google+ is catching on in a huge way, because it’s so versatile – and proper integration can be an enormous boost to your blog/website traffic. Does this mean that you should use only one social network? Of course not! Many people/families have more than one car – or dream of having a second vehicle. Their taste is diverse. Likewise, your reader probably uses more than one social network. But if you want to see a return on your social marketing ROI, you must dedicate your time/energy/money to the networks where your reader is hanging out. If they have a Twitter account but send one tweet a year, and you’re doing lots of Tweet Chats and employing a big Click to Tweet campaign, you are probably missing each other – like two cars passing on the highway. Have a presence on all the social networks, but focus on the one or two that will connect you with the most readers. Here’s to identifying your readers’ favorite social networks! Are you planning for SUCCESS, or planning to FAIL? It’s been a while, but I’ve written a number of posts in the past about mindset — the reason being that it’s an immeasurably difficult uphill battle to succeed without a positive one. If you’re giving a presentation to a smaller group, you’ll increase your sales by as much as 40% if you put a book on every seat BEFORE the talk begins. People have a chance to look at the book. You mention a passage from a particular page during your talk. And then at the end, you say, “If you want to purchase the copy you’re holding, just pay So-and-So at the back of the room. If you don’t want it, just leave it on the chair when you go.” Sure … you may lose one or two that walk out the door – but you’d probably give those away anyway. And you’ll more than make up for it in increased sales. Idea courtesy of Jason Nast. ED: Great idea Laura. I would have to hold myself in check and not go all Oprah… “And YOU get a book, and YOU!” But if I could contain myself this would probably work brilliantly. DANIEL: Let’s say you paid out of pocket for 100 copies of your book for such an event and everyone left afterwards without buying a copy, what would you do with those books? Give them away for free, donate or something else. It’s pretty obvious, isn’t it, which of these authors is planning to succeed, and which is planning to fail? Please, please, please don’t let yourself be in the “planning to fail” category. So what if you haven’t sold a book yet and you’ve been at it for a year? Who cares if you’re the only one who seems to believe in your dream so far? Get out of the mindset that is prompting you to self-sabotage and look for reasons to fail! Write affirmations about your success — first person and in present tense. Readers are flocking to buy my book, as opposed to Readers will flock to buy my book. Paste those affirmations all over your house, your car, your computer, your cell phone and repeat them to yourself continuously. Cut out photos that inspire you and create a vision board that denote success to you: a person signing books, books on a shelf at a bookstore, a large number in your checking account, goal destinations for public speaking events. Watch movies, read books, visit social media sites, and drink in images that reinforce SUCCESS thinking. Sign up to receive daily inspirational messages via email. Find a Meetup group of like-minded writers who will be your support network. Rejoice with EVERY success, even a single book sale. It may take some effort, but you CAN shift your mindset from why you won’t succeed to why you will. If you have other ideas that you’ve implemented to help steer you toward success, please share them in the comments section below. Here’s to your SUCCESS MINDSET! Getting ready to launch your book? Be sure to download our complimentary special report, “Anatomy of a Book Launch.” Even if you’re not a novice and have a book launch or two behind you, this report will give you the timeline to help you experience even more success. Woo-hoo! 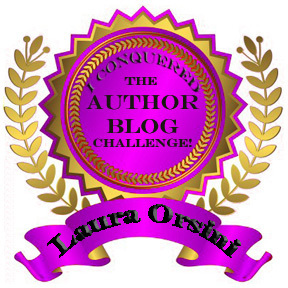 The Winter Author Blog Challenge is underway. This time around, the Challenge is just 15 days, and our focus is social media. The goal is for participants to post all 15 days, following the daily prompts provided, if they so choose. As with the inaugural Author Blog Challenge that took place last summer, I’ll be playing along with all of the posts, even though Marcie and I are the hosts! Are you on Twitter? Perhaps more than any of the other social media platforms, Twitter has developed its own language. Tweets. Twitterverse. Rewteet. Are you invested in the lingo? So how do you make a statement in 140 characters? Are you following more people or are more people following you? How do you decide whom to follow? Do you reciprocate and automatically follow back everyone who follows you? What kinds of things do you post? How often do you post? What advice do you have for those who are just getting started? IF YOU’RE NOT USING Twitter, go look at it (twitter.com) and either find your favorite author or put “author” in the search field and look around. What’s your take? Which tweets interest you? What would you post if you did decide to create an account? What’s the likelihood you’ll be following @AuthorBlogChal anytime soon? Be sure to give us the link. Much as with Facebook, I was also a Twitter early adopter. Although I certainly had my “I couldn’t care less what people are feeding their pet gerbils for lunch!” moments, I soon realized there was a great deal of value to be gleaned from learning to Tweet. I was more irritated with the cutesy Twitter lingo that seemed to spring up like weeds after a rainstorm (two of two of the words I most revile are “blogosphere” and “twittersphere”). And, like most people, I had no idea how to begin. I think even today, seven years after Twitter’s inception, you can tell the feeds belonging to Twitter virgins from those who have multiple Twitter handles by their very first tweets. Those who start right off posting content have obviously been Tweeting awhile. Those who write “This is my first Tweet” are brand new. What I eventually found was that Twitter is just a giant chatroom, with 500 million other people in it. The great news is that you get to decide whom to follow, with whom to interact, and how you interact with them. If you want to read tweets about what people are watching on TV every hour of the day, you can find them. If you’re more interested in connecting with literary types (agents, publicists, editors, publishing execs, book designers, other authors), they are there, too. It was suggested to me when I first got started on Twitter that I stick to my professional subject: publishing. And that worked for about a month ― until I started to see all kinds of other topics that interested me: politics, personal development, spirituality, marketing, alternative health. So I started following people tweeting on those subjects, as well. Most people I follow can still be slotted into one or more of those six categories. I spent an enormous amount of time in the beginning building my Twitter presence ― no less than an hour a day for three straight months. It paid off, though, in that even when I don’t post a tweet for weeks at a time now, I’m still adding a dozen new people a week, at minimum. Yet I’m nowhere near the stratospheric record of my friend Stephanie Quilao (@skinnyjeans) who organically grew her following to 57,300 people just by writing good content and being INTERACTIVE (aka social) on the site almost from Day 1. Her feed is so popular, she was named one of the top health influencers, right alongside @DrWeil and @DrOz, even though she’s a “civilian” just like you and I. It took me a while to embrace HootSuite as a mechanism for managing multiple Twitter feeds, but now I wouldn’t do without it. At present, I “manage” five Twitter feeds. I use the term loosely, in that some get a tweet once a month, while others are fed much more regularly. Without a doubt ― and understandably, I like to think ― the one that gets the most attention is @phxazlaura, the one I spent all that time building. The others are @authorblogchal (of course! ), @1001rlqfw (MY book), @WomenLeaders4Peace, and @ABWA_VoSEN. People often want to draw comparisons between Twitter and Facebook. In my opinion, that’s like comparing a big-box department store to the general store in a small town. They serve a similar function, but in wildly different ways. Although Twitter has expanded to make video and photo posting easy, it still remains a microblogging site ― quick hits of 140 characters. Facebook, on the other hand, allows you to post entire photo albums, you can see the video without having to open an additional window, and your text posts can be seemingly limitless (actually, the limit is 8,000 characters). As far as discerning which one an author should begin with, the only way to answer it is by discerning where his or her readers are spending their time. If you’re writing nonfiction about a timely, topical subject, Twitter is your better bet for creating conversation. For timeless fiction, Facebook is a better place to create a community of fans and followers. If you’re not yet using Twitter because you don’t see the value, I encourage you to explore a few popular author feeds, do a search for a term that interests you and read the feeds, or take a spin around Time magazine’s 140 Best Twitter Feeds of 2012. You may just experience a change of heart. In the meantime, come Tweet with us! Need help creating – or updating – your Facebook Fan Page? At nearly 200 pages, this eBook is chock-full of screen shots and details about how to create or improve your Facebook Fan Page. Includes details about adding a MY BOOKS feature to your page. Grow your Fan Page and grow your list of potential readers! Get Using Facebook Fan Pages to Market Your Book and/or Build Your Business today! Do you have a Facebook fan page for yourself/your book? How long ago did you start it? Did you do it yourself or have someone help you? Are you seeing lots of new people liking it? What kinds of things do you post? What have you found to be the most effective way to get fans/have people interact? IF YOU DON’T HAVE a Facebook fan page, tell us about the fan page for an author you know or like. Why do you like them and why did you “like” their page? What do you think they are doing well that you would like to model with your own page? Do you have a goal date for creating your own fan page? Be sure to give us the link. I have been blessed with the MOST amazing mentors! One of the most influential is my former personal trainer, Scott White. He gave me a foundation for everything I know about social media, Internet marketing, and building my business. 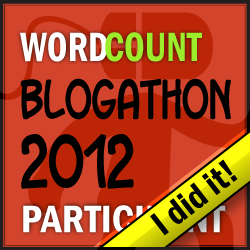 In fact, I doubt I’d be sharing this blog with you if not for his patient coaching and early mentoring. He’s the reason I joined Facebook and Twitter. He introduced me to Craigslist. He taught me about GotPrint.com — the best business card and postcard deals on the web! It was way back in early 2007 when I got started on Facebook. This was L-O-N-G before Fan Pages existed … so for a long time, my personal page was all I had, and I have yet to grow the support for the Fan Page for my business to anywhere near the 2,569 friends I have on my personal page. Interestingly, in all my study of Facebook Fan Pages, I know quite a bit about how it all works (wouldn’t it be a blessing if Zuckerberg’s minions would stop “improving things” long enough for us to figure out how the latest changes worked?) but seem to spend quite a bit of my energy building and supporting others’ (clients, husband, organizations I belong to) pages as mine rather limps along. Although politics interests me and I follow many political topics, pages, and personalities, I tend to try not to post incendiary stuff on my personal page. Of course, what’s innocuous to me may be a lightning rod to someone else, and I did delete/block a few people during the most recent presidential campaign. The reason I mention this is that I’m still juggling the personal and professional on my personal page, perhaps the biggest challenges of pre-Fan Page success. As client work has increased, I’ve slowed my personal posting down a bit, but the three things that helped me grow my personal page were the daily posts of: (1) an image that contained words of some sort, (2) a writing quote, and (3) a writing prompt. I posted these every day for nearly 2 years. I’m a bit more sporadic with my posts now, but I still put up images with words and the writing quotes, always accompanied by the same image. No one has told me they miss the writing prompts. Perhaps if I heard feedback to that effect, I’d start those up again, too. Though many have complained about the new (a year ago) Timeline feature of both personal and Fan Pages, they’re actually quite useful on the Fan Page side. One important thing you can do is create events or milestones to document things like your book launches or readings and other successes. The feature allows you to include up to 5 images, and used well, these become a great selling tool! Here’s the post we put up to celebrate the success of a client’s first book signing event. Jenn Laurent is in California and we’re in Phoenix, but we celebrated virtually. This post was our opportunity to share Jenn’s success with our fans and by doing so, showcase our skill and expertise. A similar story is true with this post, celebrating 4 years of working with a valued client, Samuel N. Asare of Laser Financial Group. Another important thing authors can do with their Fan Pages is add the Author Marketing App. This is a great way to give your Fan Page followers an overview of your published work. The app installs as a tab on your Author Fan Page and then allows you to add details about your books and upcoming events. If you’re selling your books on Amazon, listing them is as easy as entering the ISBN! There are dozens of little secrets like this that can help you improve your Facebook presence, and as a result, perhaps help you sell more books. If it’s just not your strong suit to learn it, know it, and do it, consider hiring a pro to help you maximize your success. If you want a step-by-step guide through the process, please consider purchasing our eBook, Using Facebook Fan Pages to Market Your Book and/or Build Your Business. It’s just $12.99 for nearly 200 pages of screen shots and step-by-step instructions. In the meantime, we’ll see you on Facebook! Are you using the 80/20 RULE when it comes to marketing your books? Hello, my lovely SBMs, SBMs-in-training, and soon-to-be SBMs! * Today’s tip is quite simple, but please do not mistake simple for unimportant. Chances are, you’re familiar with the 80/20 Rule. I used to hear it from my personal trainer: “Eat well 80 percent of the time; eat whatever you want the rest of the time.” I’ve heard it said about our closets: We wear 20 percent of our clothes 80 percent of the time. I’ve encountered it in productivity discussions: 20 percent of the people do 80 percent of the work. It just seems to be a breakdown that works in many situations. Book marketing is another really good example. We’ve been talking over the last few posts about the need to BALANCE relationships with selling. This has never been more true than across the ubiquitous social media platforms. Want proof? How fast do you “unfollow,” block, or “unfriend” people who constantly spam your Twitter feed or Facebook wall with ads for their businesses or products? If you’re like me, the answer is: Immediately! Someone may have the best damn tire shop in Toledo, but if all they do is post ads for their wheels/rims specials and all-terrain tires, I’m just not interested. Especially since I live in Arizona! Somehow, with all the buzz about the need for authors – and sellers of all stripes (a.k.a. just about every entrepreneur/business owner in existence) – to get into the social media game, one little details seems to be frequently overlooked: the first word in “social media” is SOCIAL! Of course, each person’s concept of social – and therefore social media – is going to be a little bit different. However, there are some universal truths. Would you marry someone after the first date? Probably not. So why would you even consider trying to sell your book to a brand new online friend, unless you already have a relationship with them? One of the most beautiful aspects of social media is its global reach. Remember the ancient days of pen pals? Today, we can interact with friends all over the world! But interaction means just that – getting to know them on a one-on-one basis. Exchanging conversations with them. Sharing news, ideas, and information. And … if and when the timing is right … marketing your book to them. Take a look at your personal campaigns as well as your overall strategy, and keep the 80/20 rule in mind! We’d love it if you’d take a few minutes to give us some feedback via SurveyMonkey about an upcoming Author Sales Training Webinar series we’ve got in the works. Anyone who completes the survey and provides a viable e-mail address will be eligible to win a $10 Amazon gift card.